On behalf of the Ministry of Education and Training, there was the presence of Mr. Bui Van Linh - Deputy Director General of the Vietnam's Department of Student Affairs; on behalf of the Embassy of the Republic of Korea was Ms. Lee Mi Yon - Ambassador of the Republic of Korea in Vietnam; From Lotte Group, the host was Mr. Hwang Gyeong Ho - General Director of Lotte Department Store Vietnam. There are 18 students from 3 universities of Vietnam National University, Hanoi: University of Social Sciences and Humanities, University of Languages và International Studies, University of Economics and Business. Ms Đỗ Thu Phương, student of the QH 2014 E Economics class, excellently represented the students of the Faculty of Political Economy receiving the scholarship. Speaking at the ceremony, VNU Vice President Nguyễn Hồng Sơn expressed his thanks and appreciation of the support from Lotte Group, specifically, the Lotte Scholarship Fund, to Vietnamese students over the past years. VNU Vice President shared, the effective cooperation between Lotte Group, the Lotte Scholarship Fund with universities in Vietnam for nearly a decade has demonstrated a solid foundation for a deeper and broader partnership between the two sides in the future. In addition to providing scholarships; internships, practical programs, appropriate job opportunities for students, various exchange activities by staff and students as well as collaboration in organizing conferences aimed to transfer the results of scientific research into production practice, have also been implemented. 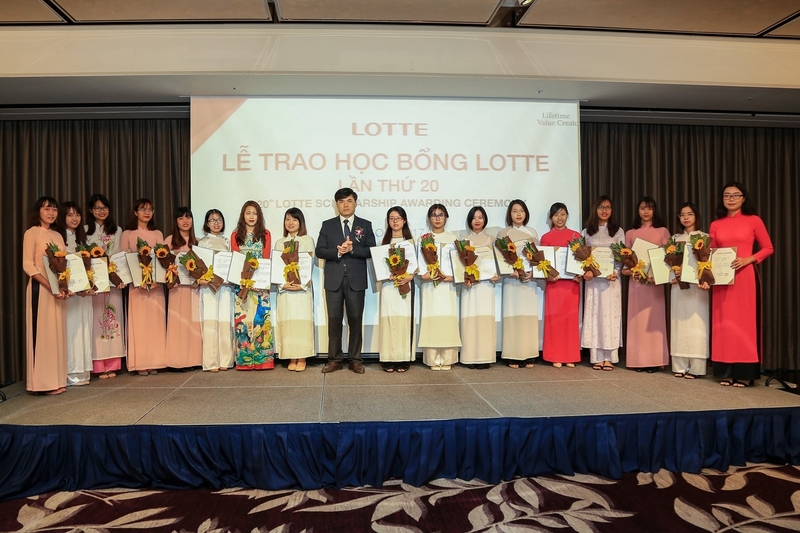 Given twice a year, the Lotte scholarship is a symbol of friendship between Korea and Vietnam as well as an expression of Lotte Group’s desire to contribute to community activities and social responsibility. In addition to other significant activities such as the construction of the Lotte School, building libraries and dormitories for students in disadvantaged areas, Lotte Group expects the excellent graduates today to be the next generation to join the Lotte Group's subsidiaries in the near future. The Lotte Foundation Fund was established in 1983. Its scholarship is given to students from disadvantaged families with high academic and research achievements. 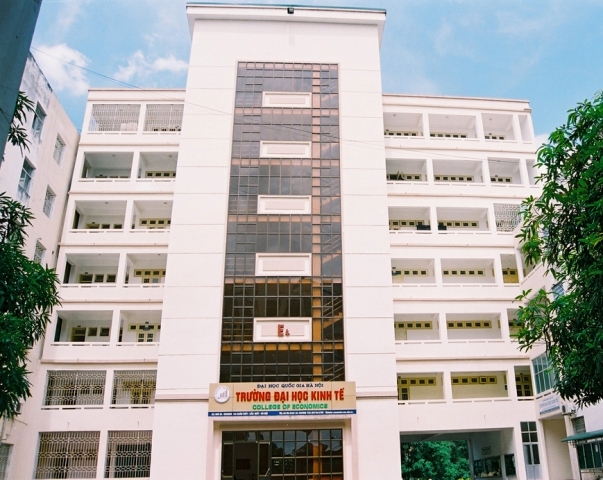 In 2008, the Lotte Foundation Fund first came to Vietnam and by means of significant scholarships, it had become a trusted companion for outstanding students in Hanoi and Ho Chi Minh City.